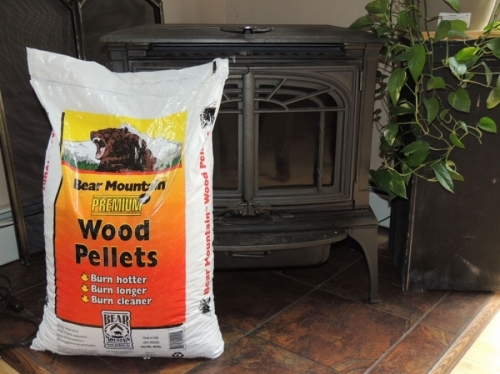 Bear Mountain Premium Plus Wood Fuel Pellets contain significantly less moisture than the industry standard resulting in heating your home faster and hotter. We take the time to dry our pellets like no one else which means you get more fuel in every bag and you use less of that fuel to burn away excess moisture. Instead you use the fuel you purchased to heat your home, not dry your pellets.